Stick your EDL apologia up your ****. Posting videos by 'Sargon of Akkad' is a new low, even for you. Sorry, this is nothing to do with EDL, do you think this is something that should be happening in 2018 Western countries? I would guess that the EDL reference was due to the Tommy Robinson banner on the bottom right. If you hadn't seen that you might not have understood it. And before you ask again, no. I was being generous to you, trying to understand how you could not see he was suggesting the anti-muslim rhetoric by "Sargon"was reminiscent of the EDL, which even Yaxley-Lennon had the good sense to leave. As for the 'facts' and 'disproving' them, that is actually a seperate issue. Conspiracy theorists such as D'Souza and Benjamin are very selective in their presentation, and it doesn't take much effort to find how innacurate (by ommision often) and often desperate their attempts to join their dots are. systematic abuse of children and vulnerable adolescents is not exlusive to any religion, and should be rightly condemned wherever it is found. Perhaps you could find a video on the latest scandal to hit the catholic church in Pennslvania, or Australia, or Canada or Ireland. Or by Evangelicals in the US, or Anglicans in the UK. Do,you think this is something that should be happening in 2018 Western countries? Last edited by trekbuster; 19th August 2018, 22:21. I was assuming you could at lease be capable of making a valid point that would disprove these videos, but again, all you can spout is empty rhetoric, something easily done when opposing people with known facts are put in front of your face that you can't debunk! 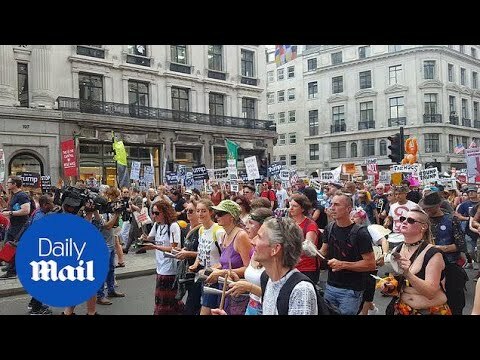 Any Whoo, thought you might like to show us where you were at the London Trump Protest, did you bang your tin or did you have a whistle? Last edited by MrBlueSky; 20th August 2018, 00:01. Again you are deliberately missing the point, or perhaps it went over your head. Singling out selective information in the way that your chosen video presenters have with the deliberate intention of using criminality by a selective (and tiny) proportion of a group and then leading to insinuation that all members of that group are therefore undesirable is poor logic even when such behaviour is proven and reprehensible. Presenting 'facts' in such a way that indicates your dislike of a religion and are intended to encourage others to the same viewpoint is still islamaphobic, or anti-semitic, or anti-christian etc. etc. If such as selective perspective spotlight was shone on any individual or small groups of any population following the same false logic it could be argued that any group is undesirable. For example, cyclists. If you read the comments after the numerous articles on cyclists in the Daily Heil as an example, (although the same can be found in the Express, Sun, local newspapers etc. Etc) you could be lead to the conclusion that all cyclists are wicked and that the vast majority of the population believe that they should be allowed to drive them off the road. Yet this is patently false on both counts. There are some idiot cyclists, but not every cyclist is an idiot and not everyone believes they should be taken off the roads. So, in conclusion I don't need to debunk them as it is not simply the material but the presentation and emphasis that is offensive. As far as the suggestion that christian scandals are more likely to be brought to the fore than other religions this is simly a blinkered veiwpoint. Scandals from 40 plus years ago are only just being brought to light because of the coverups from the establishment within churches and outside them. If you want to believe that narrative, you will find evidence to support it . It is called confirmation bias. Last edited by MrBlueSky; 26th August 2018, 21:40. ...or are you saying that a huge country, like Australia for example, where all the people are of one race, one skin colour, one religion (or belief system) and who share a common system of values should have their country progressively colonised by people of a completely different race, with a completely different skin colour, a completely different religion (or belief system) and a completely different system of values? And that, over time, the colonising people, plus successive waves of new immigrants of the same race, skin colour, religion and values as the first colonisers, should arrive (and breed) in such large numbers as to completely overwhelm the indigenous people and therefore should replace their existing government, religion, laws, system of values and, in fact, virtually, their whole way of life, with government, religion, laws and a system of values more to the liking of the colonisers and immigrants (despite any protests from the indigenous population)? In fact, within a few generations, the indigenous people should become so disenfranchised that they are treated like second-class citizens in their own country, are totally unrepresented in government and own hardly any of the land that was theirs for millennia before (although the very idea of 'owning' the land would be totally alien to their system of values)? Is that the point you were trying to make with this video? Last edited by Creaking Door; 28th August 2018, 21:30. Mark Steyn's full speech on why we need to promote freedom and liberty. 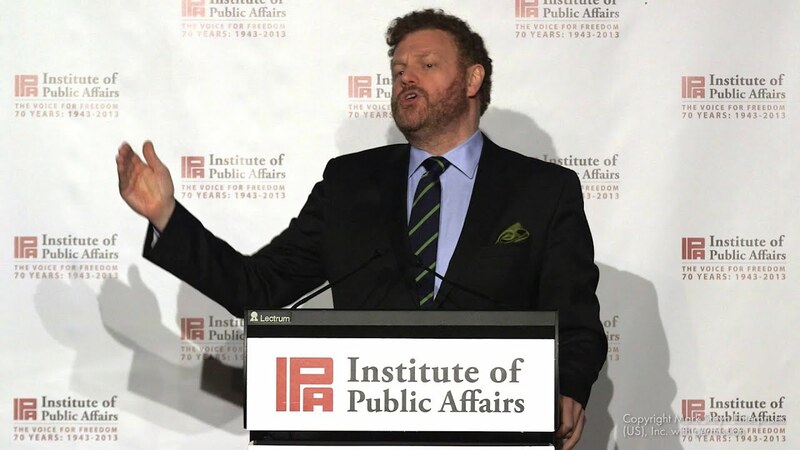 Taken from the IPA's Gala Dinner in Melbourne on 19 February 2016. Last edited by MrBlueSky; 30th October 2018, 22:28. All times are GMT. This page was generated at 02:41.